A fraction of the price, with just as much flavor. 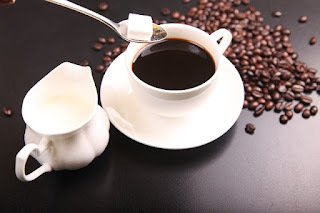 I decided to check the label on our coffee creamer and found ingredients such as sodium caseinate, dipotassium phosphate, sodium aluminosilicate. It's full of things that I can't even pronounce and it's costing me $6. So I decided to make my own creamer using only 3 simple ingredients and I can tell you, we won't be going back to store bought creamer any time soon. It's extremely simple to make, it took me less than 5 minutes, and much cheaper than the store bought version! Combine all ingredients into a container., we used an old coffee creamer container but anything with a lid would do, and shake like crazy. Once you've given it a good shake, use a spoon to give your creamer a stir and make sure none of the condensed milk is stuck to the bottom of the container. Then enjoy!